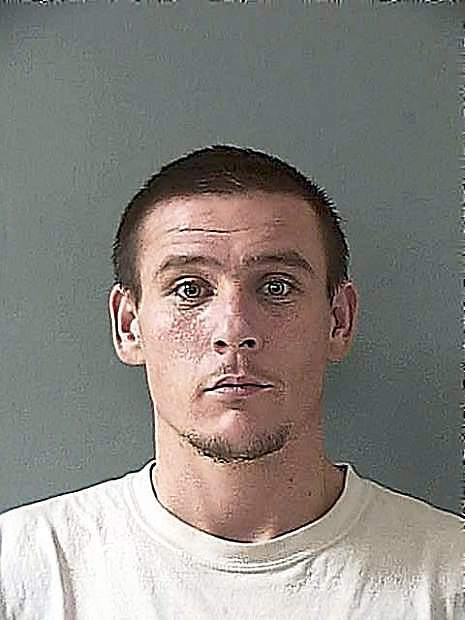 TRUCKEE — Joseph Ward babbled in sentence fragments when speaking to his girlfriend in what authorities say was hours after he killed Kenneth Pestana. Sarah Moresi, who dated the 32-year-old Ward for five years, told police in a recorded interview that Ward was worried and concerned when in early June 2017 he arrived at her father’s home outside Reno in Pestana’s car. Moresi had left Pestana’s Highway 20 property, near Nevada City, after Ward agreed to work on the 61-year-old man’s land, she testified Thursday in Nevada County Superior Court. They’d arrived two days before, and Moresi — who had issues with Pestana — wanted to leave. Ward remained, and authorities allege that on June 7, 2017, Ward slashed Pestana’s throat before taking the man’s car and dog. After a 13-hour drive to Reno because of car problems, Moresi was at her father’s home when Ward arrived. At the time she knew nothing about Pestana’s death. Moresi said she, Ward, his brother and her daughter went to the Eldorado Resort Casino after they arrived at her father’s home. Ward spoke to her at the casino, but his words were disjointed and his sentences only fragments. “He didn’t like to talk, because he thinks he’s being recorded all the time,” Moresi says in the video played for jurors. “He did an arm motion like this. He didn’t really go into detail. “Like he’s choking somebody,” she added moments later. Testifying on the first day of trial, Moresi sobbed as she sat on the witness stand. She lashed out as Assistant District Attorney Chris Walsh read statements she gave to police during an interview a month after Pestana’s slaying. “‘He told me that he had hurt, he had killed Kenny,’” Walsh read from Moresi’s statement. “I don’t remember saying that,” Moresi said. “This all just feels like a trick. I wasn’t there. I just want this to be done. I would like to be done with all this. “He didn’t tell me he killed Kenny,” she said later. Attorneys on Thursday delivered their opening statements in a trial that could last weeks. Walsh said Ward called his ex-wife shortly after slashing Pestana’s throat in a shed on the older man’s property, about eight miles northeast of Nevada City. Ward then fled with the victim’s car and dog. After his arrest, authorities tested blood found on Ward’s black work boots — matching it to Pestana, the prosecutor said. Under questioning by Deputy Public Defender Tamara Zuromskis, Moresi said Pestana had a nosebleed in an attached garage when she visited him in June 2017. According to Walsh, Ward and Pestana met when Ward was a teen. Ward called Pestana “Pops,” and he paid the younger man for work. Pestana would refer to Ward as his son. Zuromskis, who represents Ward, asked jurors to remember that close relationship. Ward stayed up during the night to talk to Pestana after arriving at his home in June 2017. Pestana bought Ward a cell phone, loaned him clothes and paid him to work on his property, Zuromskis said. Pestana’s daughter, Jessica Pestana, testified that Ward and her father’s relationship was odd. Ward appeared to idolize her father and want to be him. At times they’d argue, though they’d always repair their relationship.